I’ve been working on this project for the past couple months and while the original plan was to intersperse Ken Burns-style documentary segments with the history of the State Veterans Home between each of the topics discussed by the residents of the State Home during the oral history sections, I was given a deadline and had to cut all of that and focus strictly on the interviews. The pacing is, of course, a little slow due to the nature of the interviews, but it was a great honor to meet these men who served their country. Some of their stories had me rolling, some had me contemplating the purpose of war, but all were compelling. One gentleman, a WWII vet, came prepared with a pre-written biography and many off-the-cuff stories, many of which had to be left out unfortunately for time’s sake. I will probably release those later on as they are too good not to be put out. City of Hot Springs Engineer Tracey Bastian is headed off to Pierre to give a pitch for a grant to get an expansion of the Freedom Trail in Hot Springs that would pick up at Evans Plunge and go to Chautauqua. He asked me to produce a video he could take to show the beauty and history of that area and so this is what he’s taken with him to show. In late 2013, as the New Year was drawing ever-nearer, I had planned on creating another “Year in Review” video for the Save the VA Committee as I continue to work on the documentary feature “The Veterans Town.” However, just as I had had the year previously, I had a gut feeling that the VA would be announcing a new development around the second year mark since the original announcement in December 2011. What that would be exactly, I had no idea. I just had a feeling. For the first year, it was that Save the VA would be meeting with Secretary Shinseki. Waiting for that meant that such a major development was included in the first year video. Sure enough, on January 7, the VA announced it would begin conducting an Environmental Impact Statement as required by the National Environmental Policy Act (NEPA). Which is great, but it’s what they should have done all along to assess the real impacts and implications of what they were proposing. Anyway, long story short, Save the VA set a town hall meeting and I was tasked with creating the “Year Two” video. After sitting down and scripting it, I opted to not use any of the interviews from “The Veterans Town” as the narration alone was clocking in around 12 1/2 minutes, an easy 4 minutes longer than the first year video, which had been padded out with interview clips and long credits. A lot of stuff had happened. I was able to edit my narration to get it so that the end result would be an 11-minute short, including all the news clips, with relatively brief credits. I tried to hit all the important points in summing up Year Two of this fight, and when we showed it at the town hall, it was met with a good response. This short is the, I guess, second teaser/glimpse at “The Veterans Town.” I have so much information to get across with the feature-length documentary that balancing it all without losing the weight behind each piece of this inordinately huge puzzle will be difficult. I really have to thank everyone who has supported this project, and I know it has been a lot longer than I promised before it would be done, but like so many good things in life, when it’s done, it will have been worth the wait, and I hope that this Year Two video proves that I have not been resting on my laurels with this film. Much of the footage and information is new and not even close to representing the hundreds of hours I have on my hard drive. I am hoping that I can have something done to submit during the EIS comment period. I’ll keep you updated as I can. Thanks again everyone for you support. Keep the faith. HOT SPRINGS – The announcement by the Department of Veterans Affairs last December to close the Hot Springs VA created a sense of unity within the community of Hot Springs, likely never seen before. Immediately following the VA’s announced plan, hundreds of community members came together to form committees, organize rallies and begin work to create a counterproposal to ensure the Hot Springs VA would continue to serve veterans in what has commonly been known as “The Veterans Town” for more than a century. A key player in this united effort is 2007 Hot Springs High School graduate Justin Gausman, who is currently working on producing a full-length documentary about how his hometown has united to protect and save its 105-year-old VA Hospital. Gausman first became involved with the Save the VA Campaign as a member of the Public Relations Committee after moving back to Hot Springs from Rapid City this past winter. Some of his early contributions to the effort were his creation of the campaign’s official Facebook page and subsequent documenting and filming of the “Veterans Welcome Home Ride” held on Feb. 25. He said the idea for creating a full-length documentary of the town’s fight came about during an early PR Committee meeting when local writer Mary Goulet spoke of writing a book featuring testimonials from veterans who had been treated at the Hot Springs VA. Gausman said Goulet immediately supported his idea to also create a similar-based documentary. Gausman, with the assistance of local photographer and videographer John Davis, began working on the film late this past winter, during the “Vets Ride” in February by producing segments that have already been shown publicly at various Save the VA events and on-line through YouTube. Karen Meston, another active member of the Save the VA Campaign, said Gausman’s work thus far on the campaign has been instrumental in bringing the message to the masses. Despite the importance of all his work to date, Gausman said his previously filmed segments represent only the beginning of what he has planned for his full-length documentary. While he said he plans to take an objective look at the VA’s proposal, and that of the campaign’s counter-proposal, there’s no denying the sense of pride he feels for what his hometown of Hot Springs has accomplished thus far during the process. As Gausman has discovered, the production of a full-length documentary is no small task, and the funds to accomplish such an undertaking are vast. Much like the similar-based website Kickstarter.com, which recently assisted another local filmmaker Skye Ogilvie with her film ‘Drifter’, the website indiegogo.com matches up donors with worthwhile causes in a near endless list of categories from film, health, music, education and more. Gausman has set a modest campaign goal of $15,000, which he says is really a shoestring budget for what is needed to produce, film and edit a quality documentary. But he is determined to make it a reality, regardless of how much is raised. Gausman said he is currently using a borrowed camera, so in addition to funds for travel, he also needs to upgrade and acquire equipment to complete the project. Just a few days into his www.indiegogo.com/theveteranstown campaign last week, the website had helped Gausman raise $135 towards his goal. The campaign is set to conclude on Aug. 7 so there is still plenty of time for those interested in supporting the film to log-on and contribute what they can to his efforts. Officially announcing "The Veterans Town"
When the VA announced their proposal to close the facility, the community united in a way no one expected: fervant Republicans and hard-wired Democrats were working side by side, Native Americans from the Pine Ridge Indian Reservation, (one of the poorest in the country, recently featured in the August 2012 issue of National Geographic) whose people have served valiantly in our military, were hand in hand with the cowboys & ranchers, descendents of the original white settlers of the Black Hills. It was an amazing show of unity that even politicians from Washington, D.C. were surprised by. The Save the VA Campaign took a stance against the VA’s proposal and through the VA’s own fulfilled FOIA requests, revealed shoddy research and creative figures in the accounting of the VA’s proposal, and instead of countering the VA’s proposal directly, came up with a groundbreaking proposal of their own: the implementation of the Veteran Industry to make Hot Springs the center of the VA system, focusing on combatting PTSD, substance abuse treatment, and homelessness in veterans of both former and current wars. Skeeter Bite Productions has been documenting the ongoing fight to Save and Expand the VA from day one, and now is ready to begin work on a feature-length documentary showcasing what communities can do when they stand together and making a call to action to protect veterans all across the country. The film’s director, Justin Gausman, a Hot Springs native, said, “I am so passionate in my belief that telling this community’s unique story to the world will not only positively impact the Hot Springs VA, but will connect with the many men and women currently returning home from Operation Iraqi Freedom and Operating Enduring Freedom with the wounds of battle, both physical and mental. The documentary will invoke patriotism, an “across the aisle” sense of unity, and a sense of duty to those who served. Skeeter Bite Productions has pledged not to focus on partisan politics or touch on whether military conflicts are justified or not. It will only be a call to action to help end veteran homelessness, combat PTSD and substance abuse in veterans, and to help Save the Hot Springs VA and VA’s all over the nation. 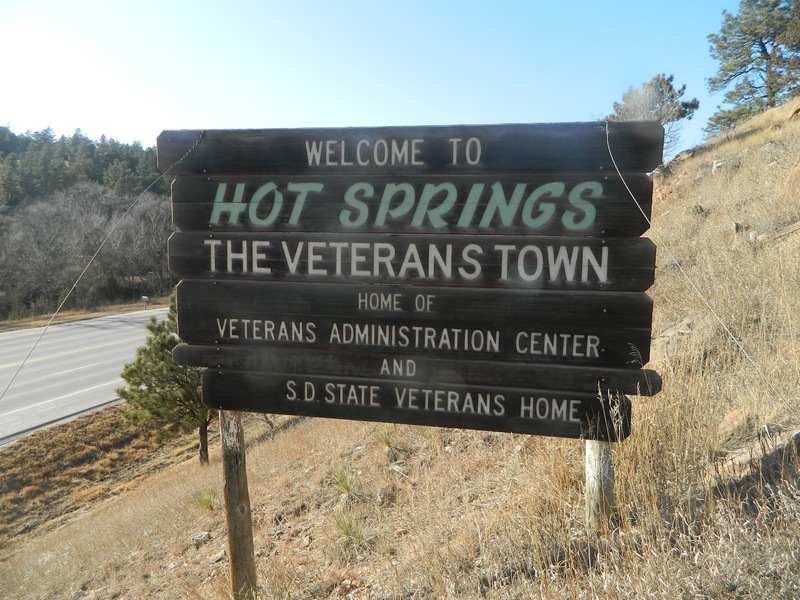 To learn more about the Save the VA movement, visit www.theveteranstown.com or www.facebook.com/SaveHotSprings. To learn more about Skeeter Bite Productions, visit www.skeeterbiteproductions.com, www.youtube.com/user/SkeeterBiteVids or www.facebook.com/SkeeterBiteProductions.